Well it’s true, but don’t worry, it doesn’t mean every shot is going to be a drone shot now. But heck, it certainly was a lot of fun. First and last shot in the video below were my first actual drone shots. I was practicing. Due to bad weather after that, it’s a good thing I did. I know, I know, I flew over traffic and people. My bad. But in the first instances of using this Phantom 3 Standard drone over empty fields just a few moments before, I was so amazed by the technology I couldn’t resist it. You see, my introduction a few years back was with a Ghost Drone, supposedly just then introducing the technology of controlling drones through a smartphone. Problem was, I don’t think their IOS software (I use iPhone) was quite dialed in. It was a disaster. I never got a decent shot and wound up crashing and destroying 3 of them. This entry-level Phantom blew my mind. Now I want the Mavic Pro 2. Anyway, enough of that. This is not a review of drones. I think everyone reading this already knows a lot more than I do. Instead, let’s talk about the video. This video is meant to be an ‘update’ on a new facility opened up at Belvoir Castle in England. It’s the first video since the place was opened last summer, but I wasn’t here to do a video of it. My last updates showed it in quite a state of construction–like scenes out of movies during the reconstruction of Europe after WWII. So we had some catching up to do. It’s opening was a greater success than dreamed of, and more importantly, since then the parking lot is full every day of the week, even now in the cold bleak English almost Winter. So they must have done something right. This video catches us up and shows all who haven’t come what is there and what’s to come (since it isn’t quite finished yet). It’s meant to be a hold-over at least until Christmas. Eventually, when it’s done, we’ll do a finished posh version that can reside on their website. Not much. The whole process is no different than I cover in my book Run ‘n Gun Videography–The Lone Shooter’s Survival Guide. As usual, it’s all hand-held, except the interview. It’s quite long, but that’s because there’s already a substantial following that will probably watch it all the way through. It’s a local thing. So it was important to show what is there and a bit of the flavor of what is there. It was shot mostly during part of one day with a few pick-ups. Edited over most of the next day. It was all on my own in terms of narrative edit and content (no other input), which I prefer and which is 99% of the case with each of the 300 or so videos I’ve done in the past several years. It was approved first time through. It’s not perfect, and some of you eagle eyes will figure out why. But I think it does the trick. If you’re English, you’ve probably heard of Lancelot ‘Capability’ Brown, England’s most famous landscape architect. Last year England celebrated the 300th year of his birth with events around the country all year long. Brown was responsible for the landscapes of over 170 of Englands most famous estates. And, in England, when we say ‘estate’ we mean BIG house with LOTs of land. If you’ve ever been to England as a tourist visiting any one of these famous estates, chances are you saw Brown’s work, never realising that those ‘natural’ landscapes you were looking at were created by a landscape architect. If you haven’t been to England but have seen Downton Abbey (filmed at Highclere Castle), well, that’s Brown too. Anyway, one might assume there’d be a statue of Brown somewhere in England after all that time, but until a few days ago, there wasn’t. Nor were there any plans for one, even though a £1,000,000 was spent celebrating Brown’s birthday last year. Enter my wife, Laury Dizengremel, sculptor. Well, watch the video to see what happened. But the purpose of the video was not to simply document the making of the statue and it’s ribbon cutting on the Thames River in London last week. Rather it was to market the sculptor. And you probably wouldn’t think that when you watch it. This brings me to something mentioned in an earlier post when I referred to a new chapter for the print release of the Run ‘n Gun Videography book (which, sorry, I haven’t gotten around to doing yet. The chapter, yes. The update, not yet). The Chapter is called Marketing Viewpoint. It’s simple. In order to market effectively you have to assume the viewpoint of the eventual target audience. 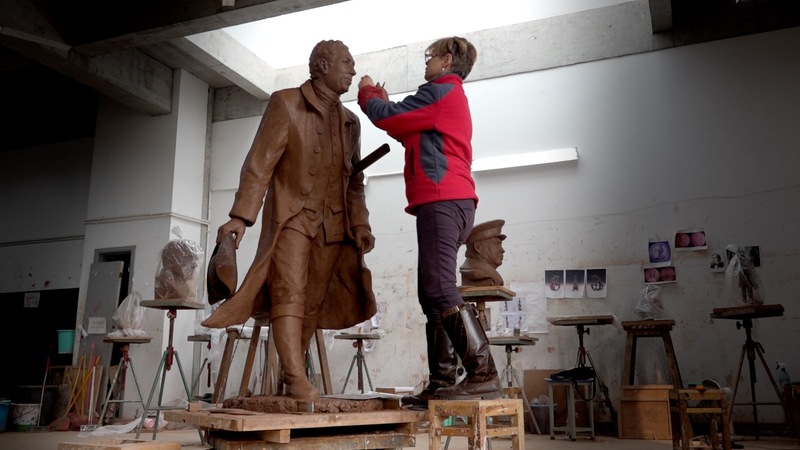 In this case, it’s a rather small audience–people who want a bronze statue made. So, if you can remember, when you watch the video, try to assume the viewpoint of someone shopping for a sculptor to make a bronze statue that costs anywhere from $40,000 to $90,000 and up. That’s not money spent lightly. One has to do one’s homework. Tell me what you’d think as that prospective statue buyer after you watch the video. Would you contact her? I wasn’t going to share this public at first, but just watched it recently and thought I would for an interesting reason. I follow a lot of video groups on FB and Linked in. One thing that comes up a lot–and I do understand it–is requests for what is the best stabiliser. Frankly, there are some new fantastic ones out there, and one day I might even buy one. But it’s low on my list and may never happen. The most recent request asked if the expensive ones were better. My reply was along the lines…”yes”. That said, back in my day of using a Steadicam, they cost something around $30,000. Maybe they still do. A cheaper alternative at the time (the 90s) was the Glidecam. I used that too. The Steadicam was way better. So even though prices are down, you get what you pay for. But do you really need one? Nothing beats good camera work to begin with. That takes time and practice. In this age of technology, some people seem to think it’s there to solve their inadequacies. I beg to differ. Anyway, if you’ve read my book Run ‘n Gun Videography–The Loner Shooter’s Survival Guide, you’ll know that I follow the ‘less is more’ philosophy when it comes to equipment. I have 3 small cameras. All Sony. The NX30, X70 and RX10ii. In this video I had the NX30 along, the oldest of the three. I bought it because of it’s stabilisation technology. I didn’t want another bag with more kit requiring more time to set up. I wanted a camera that was a wingman for run and gun work. Something that would let me keep my attention on the job, not on the equipment. I never use tripods, except for sit down interview. Never. And for the same reason. So, it follows, everything in this video is hand-held. Beyond that, it may have no interest for most viewers. It’s a family video that only means something to those involved. 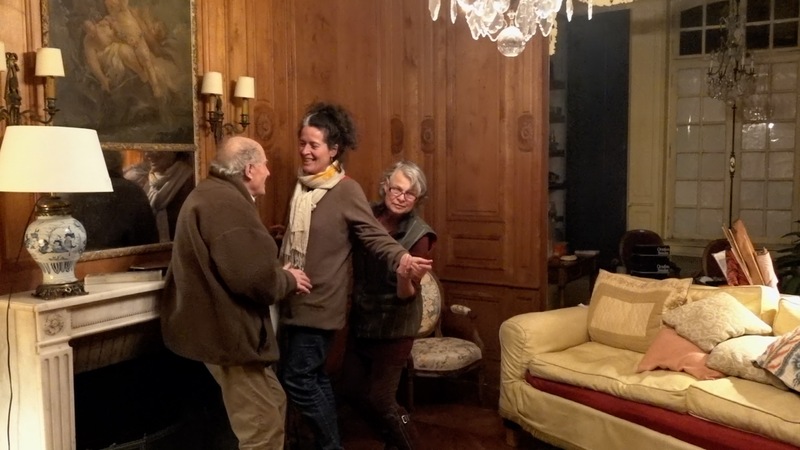 My wife is French (she’s the one trying to get the others to dance at the end of the video), and what you are seeing here is the beginning of the move from the last family home in Saint Saens, France. All the others are long gone. This is the last one, and this is the last walk through the garden by father and daughter, a father who inherited the house decades past and spent all those years carrying on the stewardship of a house that was in the family for 300 years. I only started shooting clips over the last two days there, so had little to choose from. 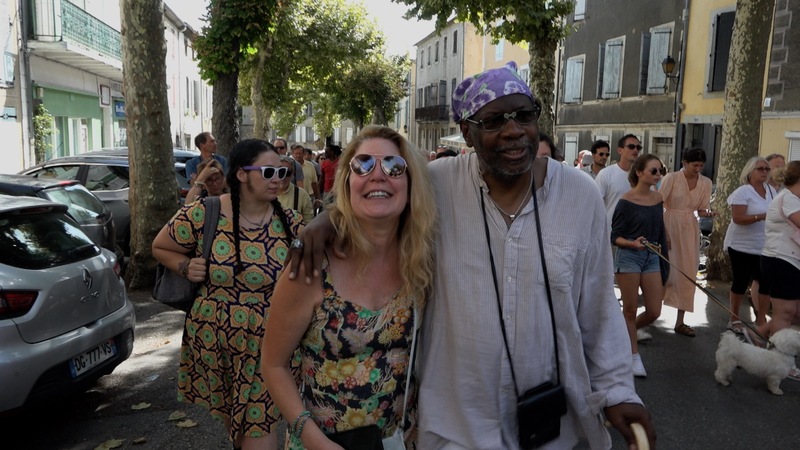 The song was played on our last evening there (in the scene where they are all drinking calvados), so copyright issues aside, that was obviously the one to use. Made for an easy edit too. Most of the shots were candid, except where they obviously knew I was there. Yea, one shot is through a dirty window, but what I captured there was priceless. The girls cried and cried. Watched it several more times and cried even more. (That’s a good thing). Moral of the story: Quit worrying about your equipment and get your attention out there capturing things that matter to people and clients. Warning: This is an 11 minute video. The subject is St. James’s Square, London, one of the most historical and prestigious districts of London. All of the following will be of no value at all if you don’t plan on watching it. This is for those of you who plan to. 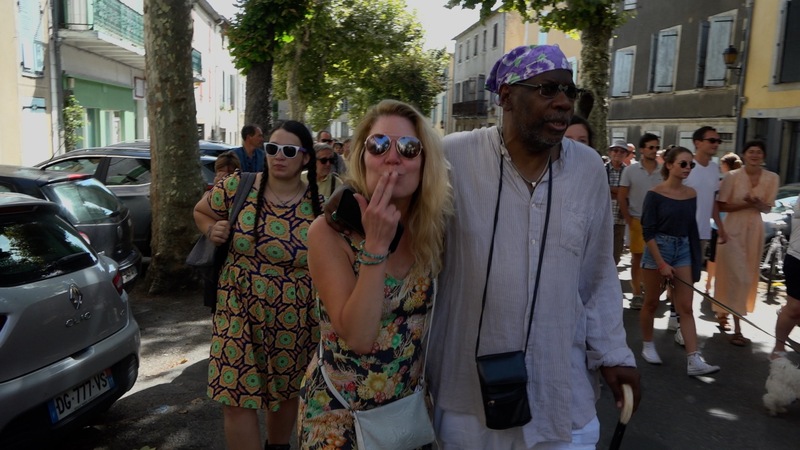 This video is not typical of what I do, but I treated it like any other that I do. 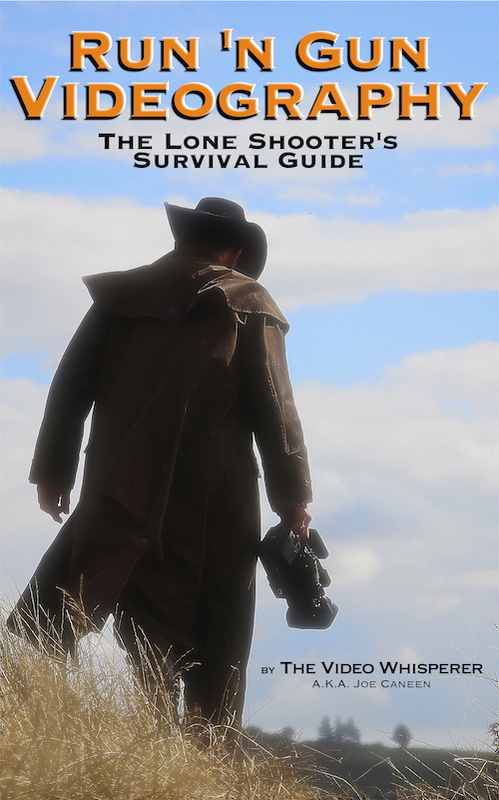 And all that is covered in the book Run ‘n Gun Videography–The Lone Shooter’s Survival Guide. It wasn’t typical, because it is long (11 minutes). In the book I talk about how to do and edit interviews. Up until now, I’d say for an hour of interviews, I cut out on average about 50% or more. That means all of my questions and all of the answers that I know I won’t use. What’s left is what I use to construct the narrative. In this case, I had just over an hour of interview, and with my questions cut out, over 95% of is was totally usable. That’s never happened before. This was a case of a very educated, experienced and articulate Brit. There are many like him. I just never got to interview one. And I’ve done over 1000 interviews. I already knew I was going to produce multiple properties from his interview, but when it came to the first one–an overview of the St. James’s Conservation Trust, when I got it reduced down to about 11 minutes, I felt I couldn’t cut it down any more without losing. Sure, he didn’t say it all in the order your hear it, but in crafting an overview and knowing that it’s first showing would be to a prestigious event in St. James Park attended by a lot of very important people, I felt I just had to work with that 11 minutes and make it as visually interesting as possible. That was what was different about it. As to the rest, it was all hand-held, except for the interview of course. Why is that worth bringing up? Well try going around St. James Square and in the vicinity of a working palace and other important clubs and high-end shops in the heart of historic London with a big camera and a tripod and see how far you get. The client was even concerned that I get all the right ‘permissions’. I told him, “don’t worry about it”. All that B roll was shot with my teeny weenie Sony HXR NX30 hand-held. The interview was shot with my Sony PXW X70. And guess what? I somehow screwed that up, inadvertently shooting with high gain. TIP: When using Neat video, get your look, then disable it. It’s very processor intensive and whenever you change an edit it will want to re-render again. So get your look, disable it, and when you’re all done, re-enable it and let it render everything one time. The other regular practices were shooting tons of B roll and how I found a stock music piece that worked (two in this case) and made them seem like they were written for the video. Seriously, if you manage to watch it once through, try again and just listen to how the music plays to and enhances the narrative. It was pretty magical–considering it’s stock. Shooting handheld: Shooting hand-held is one thing. You should also know that for almost all of these hand-held shots I applied 50% slow mo. And in most cases ALSO added stabilisation. Some from FCPX and some using CoreMelt’s ‘Lock and Load”. Also (did you know?) that once you apply any kind of speed change in FCPX, you can then select a video standard of either ‘frame blending’ or ‘optical flow’. I used optical flow which smooths it out just a little bit more. Also, in some case (shooting those wall plaques), I shot them both as stills (on the NX30) and as slow zooms. In the edit I wound up animating the stills rather than using the zooms. And finally, (as dictated by the edit and conformity with surrounding shots, i.e. continuity), I also often applied manual key-framed zooms to my shots. Marketing yourself: Also covered in the book. Relevant here is this: Sometimes you do something for cheap with malice aforethought. I had done another video for an organisation that had often asked but never hired me. Finally I did a birthday video for the daughter’s 18th. That was so well received I was asked to do one for the organisation–for cheap. I did it because I knew their upscale clientele would see it and it would likely get me more business. It got me two commissions worth £6000, including this one. Now you know all my secrets. Ok, so this is run’n gun. As covered in the book, it ain’t perfect. It won’t stand up to the scrutiny of the various film geeks out there. But it does the job and the stuff that the geeks will gleefully point out won’t be the things that the intended audience will ever see or concern themselves with. The test is, does it get the message across with clarity and impact.